I hope y’all had a great Thanksgiving. I know you ate too much turkey and dressing on Thursday night. I sure did. And like everyone else, I’ll bet you ate much too much gefilte fish and grits Friday morning during the Christian Bale movie marathon! Tradition! But y’all, as much fun as the weekend was, the Rosenstern family Thanksgiving dinner was marked with a sort of revelation this year which has firmly lodged a pickle right into the middle of my spiritual life. First, are y’all familiar with The Age of Accountability? It’s the age at which a child becomes accountable for her sins. It’s a sad time for most children, I’m sure, and I always considered myself real-real lucky in that I’d managed to put off my own personal Age of Accountability. Or so I thought. See, much to Mama’s chagrin, in spite of her nightly bible readings, I was never technically “saved,” so I was never baptized. AND, as Daddy has lamented for years, I never had a Bat Mitzvah. Well, I had HALF a Bat Mitzvah when I was 12, but it was cut short when the Blonsky twins flushed three firecrackers and a roman candle down the boy‘s bathroom toilet. Y’all, Rabbi Spiderman wore an eye patch for a whole year after that, but secretly, I’ve been grateful to those girls ever since for allowing me to put off my Age of Accountability all this time, which is definitely as much fun as it sounds. BUT, at Thanksgiving dinner this year, Mama’s mama, Granny O’Donahue (the Catholic Granny who never approved of Mama‘s becoming a Protestant, long before she DID approve of Mama’s NOT becoming a Jew) confessed to being worried about my salvation and not wanting to wait for me to be “saved” (or “convicted,” as the Baptists say), so she snuck me off to Our Lady of Perpetual Scandal when I was a baby and had me sprinkled while Mama and Daddy thought she was taking me to see the Pinocchio movie. So, now it appears that I actually HAVE been accountable for myself all this time. I KNOW! I told her I really wish she’d given me a heads-up. Oy! Now I have to figure out what to do about what my Mama loves to call my “shameful teenage years,” and what my Aunt Eolavelle loves to call my “shameLESS teenage years.” I don’t know what to call them, but I know shame is supposed to be in there somewhere. It‘s tricky, though, especially since I don’t do Yom Kippur. I mean afflicting my soul just isn’t my style, y’all. Plus, I assumed I was exempt, what with not being actually accountable for myself and all. Anyway, y’all, be sure to get on my mailing list here if you want an invitation to my Half Mitzvah. No reason to not finish it now, right? 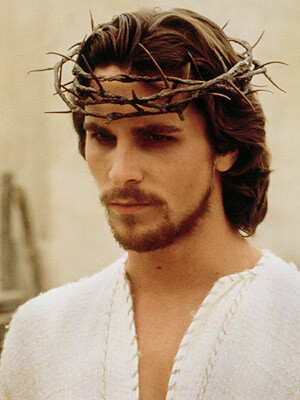 To make sure even my Christian half is covered, we’re doing a Christian Bale theme. (I KNOW!) It’s going to rock! Previous Post World’s Worst Date and the World’s Coolest Ride! Next Post Diva Thespian Kathleen McManus Joins Team Gilda Sue!